Listen to the questions, with the right column covered. Try to answer the questions yourself. Then listen to the answers. Is Peter a man? Yes, Peter is a man. 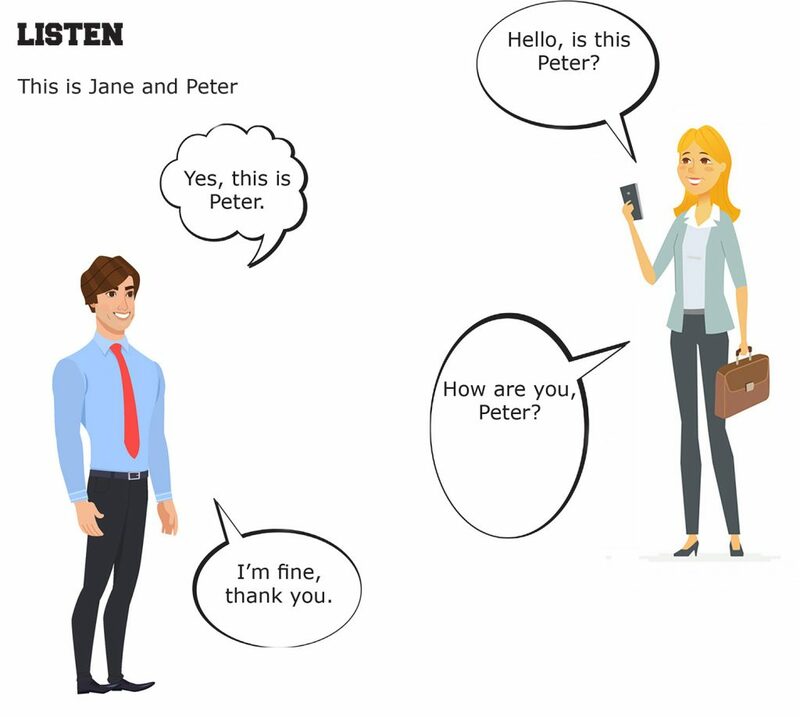 How is Peter? He is fine. Is this his dog? 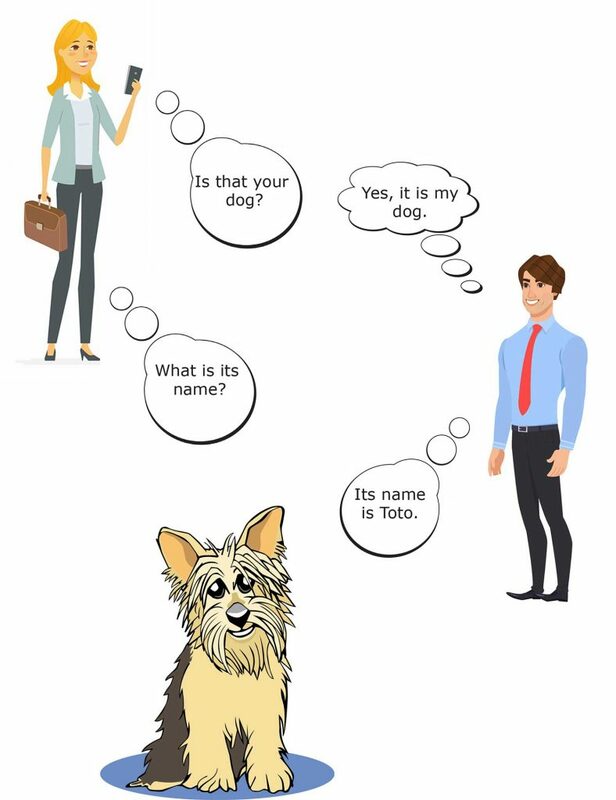 Yes, it is his dog. What is its name? Its name is Toto.